THE PATH is clearer for ex-Power defender Jasper Pittard to make his North Melbourne debut on Sunday, with Sam Wright's quad setback ruling him out of selection. Wright's hard-luck story with injury continues after he injured his quad and required a concussion test in the Roos' JLT Community Series finale two weekends ago. The 28-year-old's return date is still to be confirmed, but he will be unavailable to play against Fremantle at Optus Stadium. Pittard, Luke McDonald, Ben McKay, Ed Vickers-Willis and maybe Shaun Atley are set to feature down back, alongside Robbie Tarrant (AC joint), Jamie Macmillan (calf) and Marley Williams (calf), who need to pass fitness tests. Star midfielder Ben Cunnington (corked thigh) will play, but fellow onballers Jed Anderson (hamstring) and Ben Jacobs (sinusitis) face more time on the sidelines. Meanwhile, forgotten forward Taylor Garner (hamstring) and father-son draftee Joel Crocker (ankle) made encouraging returns from long-term absences in a VFL practice match on Saturday. Garner was a standout after failing to add to his 34 AFL matches last year, and he would be a valuable addition to North's forward line if he can get going. The 2012 first-round draft pick came through the hitout unscathed. "'Garns' was really good. 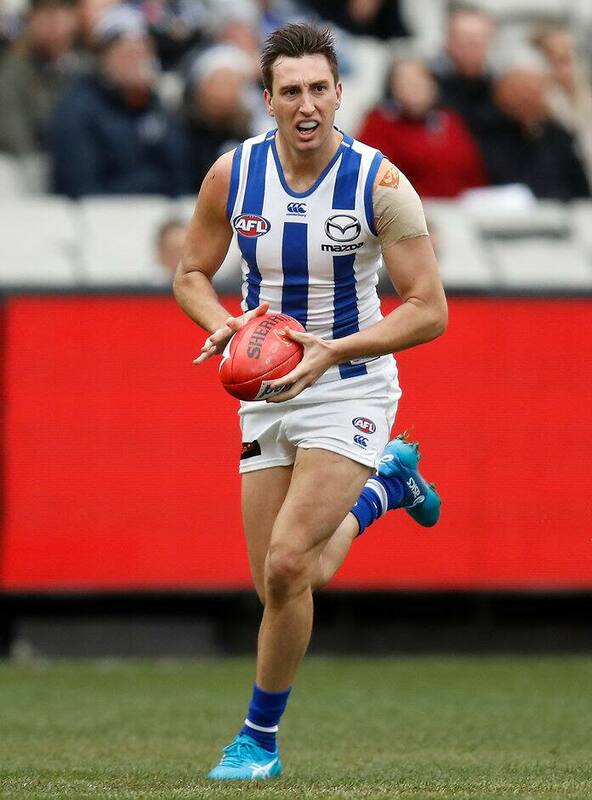 He looked really powerful once he got into the game," the Kangaroos' VFL coach David Loader told the club's website. "He led up at the ball pretty well and ended up with half a dozen shots at goal, which was super impressive. "Taylor's a very good player, and he looked better than the opposition at stages on the weekend."